Do you have an aging parent, grandparent, spouse, relative or friend who has lost their motivation and zest for life? Do they have little or no interest in doing the things they used to enjoy? Do they seem depressed, bored, sad, and lonely? How does your loved one spend their day? For many of us these are real issues; whether the individual is suffering from a form of dementia, result of a stroke, loss of a spouse, or physical disabilities many people feel a sense of helplessness and failure when it comes to how they spend their time productively during the day. Do not worry many people today see their aging parent/relative on a downward spiral, not be able to accomplish tasks that they used to with ease and just do not know where to turn. 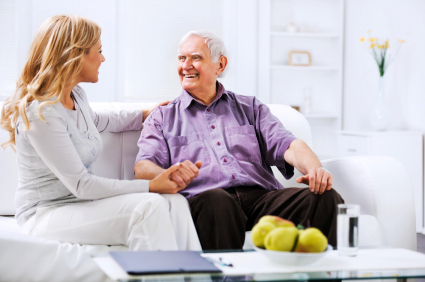 Ray of Sunshine Elderly Services is a custom tailored one on one recreation therapeutic intervention service that assists people to overcome the barrier that have been stopping them from maintaining an active an healthy lifestyle. We are an adultday care program delivered right to your door. Ray of Sunshine attempts to connect people with their past leisure interests and break down tasks into workable manageable steps for successful outcomes to occur. Many people are choosing to remain in their homes as they age this phenomenahas been phrased by the experts as “aging in place” Our society has made sure these individuals have their immediate physical needs met through live in caregivers. Yet there are so many other needs an individual requires. We are holistic beings, which constitute the other realms of social, emotional, cognitive, physiological, and spiritual components of the person. Ray of sunshine takes these other components and designs therapeutic recreation programs based on their past interests and therefore allow the individual to feel independent, confident, and satisfied. Theindividual’s sense of self worth and self esteem slowly returns as they are in control through choice and decision making powers in each activity that is introduced. We are a ray of sunshine to our families and clients that we service, we let the light shine into the homes of people who want and can accomplish so much if given the right tools, guidance, care, and support we offer. We at Ray of Sunshine can work with your loved one to change the signs give them a reason to smile in their own safe familiar environment and empower them to have a better quality of life through therapeutic recreation intervention programs designed specifically for clients going through all the steps and levels of this challenging and difficult disease.